Are You Living By Default? Do you wake up each day and continue doing the same thing you did yesterday? If the answer is yes, are you getting the results you desire with your daily actions, or are you doing it just because it is the by default action? I recently spent 11 days on a road trip with my husband, Michael. We left Brooklyn with our final destination in mind, Edisto Beach, SC. We had digital directions, snacks in the cooler, money for fuel and fun, our bikes attached to the vehicle, and each other. We didn’t plan too much else, because we wanted to experience the trip as it happened. We made a pit stop in Richmond, VA, to see a friend on a whim, and decided to spend the night in the downtown area. We walked by the river and happened upon a bluegrass concert and ate at an amazing vegan spot which served BBQ jackfruit sandwiches – one of the TASTIEST things I have ever eaten in my life. The local beer was delicious too! The next morning we continued our journey. We arrived in Edisto Beach, checked into the condo, and began thinking about how we wanted to spend the next 7 days. We knew we wanted to bike, kayak, hike, and hang in the sun. But, Mother Nature had other plans, which included violent, stormy weather, at times flooding out roads and trails, lightening strikes, and scary wind! In a past life, Mother Nature would have ruined my trip, literally. I would have stayed inside, waiting for the weather to break, and missed tons of fun. But this time, I decided I would not live by default. We rode our bikes in the storms. We got rained on poolside. We kayaked, out of the middle of the ocean, with an angry sea beating its fury against us. But in the end, we won, because we chose NOT to live by default. We made conscious choices every single moment, and I am thrilled to report, this was one of the most delightful and fulfilling trips I’ve ever taken. Life is short. You can either choose to make decisions each day, ones that fill you with a sense of purpose and bring joy and meaning to your life, or you can choose to live by default, walking blindly through the day, doing things the way they have always been done, without conscious thought or action. Experience new things each day, take a different path home, try a new flavor of coffee, call a friend and schedule an impromptu visit, dance in the rain, naked or clothed. Take that gardening class or learn to draw, since you have always wished to do so, and ride that roller coaster this summer that scares you to death! Drop us a comment below and share your experience and, most importantly, how it made you feel to live on purpose and not by default. M. Shannon Hernandez has been passionate teaching others from a very early age. As owner of The WritingWhisperer, her specialty lies in coaching and motivating women to hone their writing skills, particularly in non-fiction and business writing. 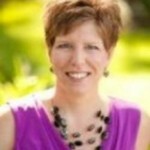 Shannon is a leading voice in the world of authentic business writing and writes regularly for The Huffington Post. She coaches others to find their voices in business writing, because the words they use define their brands. 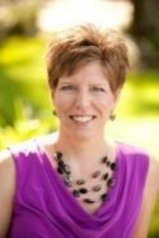 Connect with Shannon on Twitter, Facebook, and LinkedIn.